Your clients come to you when they’ve decided to take control of their health and well-being. One of the most important things you do each day is make sure they have a safe and enjoyable workout experience. It’s just as important to make sure your business is properly protected so you’re equipped to handle unexpected situations that may cause damage to your property or injury to your clients. Because your business is unique, it deserves specialized attention. 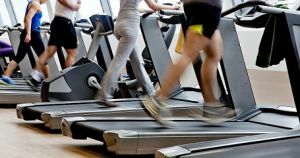 It’s important to choose a company that understands your needs and can provide the proper coverages for your health club operation. Buell Insurance is dedicated to providing you with an affordable insurance product designed especially for your needs. If a client is injured or your property is damaged, you’ll need an experienced team of claim professionals who will be dedicated to handling your loss.